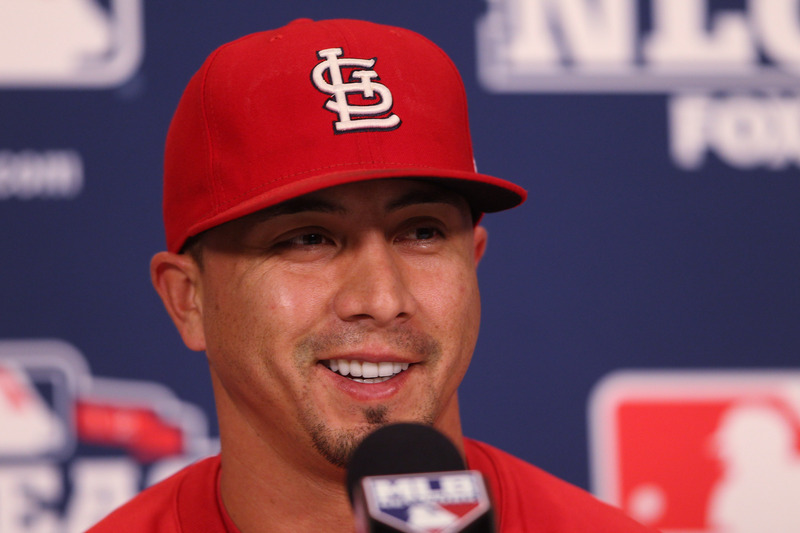 The Cardinals-Brewers series usually doesn’t need any extra drama to make things interesting, however after the Milwaukee’s series finale was postponed at Chicago, fans will have extra incentive to make some noise Friday night at Busch Stadium…Kyle Lohse will face his former teammates. Kyle Lohse was set to pitch against the Cubs and miss this series in St. Louis, but will get the start tonight opposite 22 year old sensation Shelby Miller. Lohse will go for his first win as a Brewer after spending the past five seasons in St. Louis where he went 55-35 with a 3.90 ERA in 137 games. Last year was his best season with the Cards when he went 16-3 with a 2.86 ERA. The Brewers have bullpen issues and everyday players battling injuries, but Lohse helps solidify a pretty good starting rotation. If the Brewers have any hope of slowing down the Cardinals bats, (which scored 19 runs against the Reds), Lohse will have to kick start their pitching staff. I joined Bill Scott of Wisconsin Radio Network, who hosted this Google Hangout, as we break down this weekend’s match up. To add me to your circles on Google+, and catch more of my Hangouts, click here.